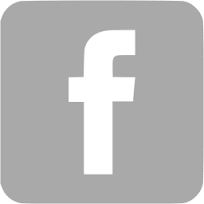 ABMSP has released a brand new mobile app! 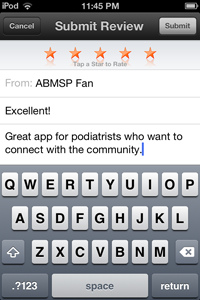 The new mobile app provides news, blog, and event listing information of interest to podiatrists. 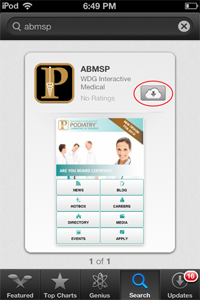 It offers a searchable directory of certified ABMSP diplomates for use by the public. 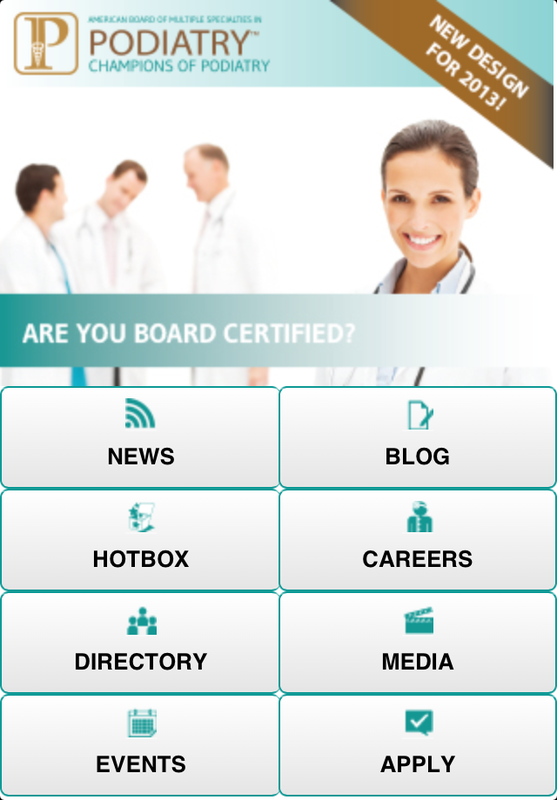 It provides career listings and application form information for podiatrists seeking to expand their opportunities. And a special "HotBox" feature enables topical discussions in the field of podiatry via Twitter. 1. 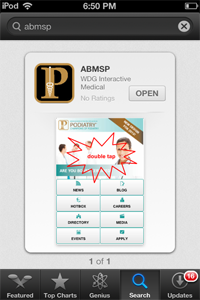 Search the app store for "ABMSP" (case insensitive). 2. Tap the install button to install. 3. Wait for the app to install. 4. Double-tap the screen to view details. 5. 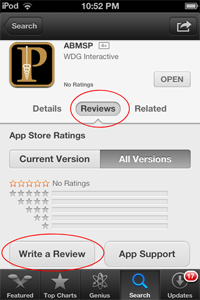 Select the review tab and click "Write Review". 6. Enter and submit your FIVE STAR review.